So some of you might remember when I started the friday favourites series, I explained that I wanted to get back into photography and start capturing things regularly again. I've found it really helpful - I think creativity is like anything else, the more you do it the better at it you are. I've started carrying my camera everywhere with me again and I've been taking a LOT more pictures! 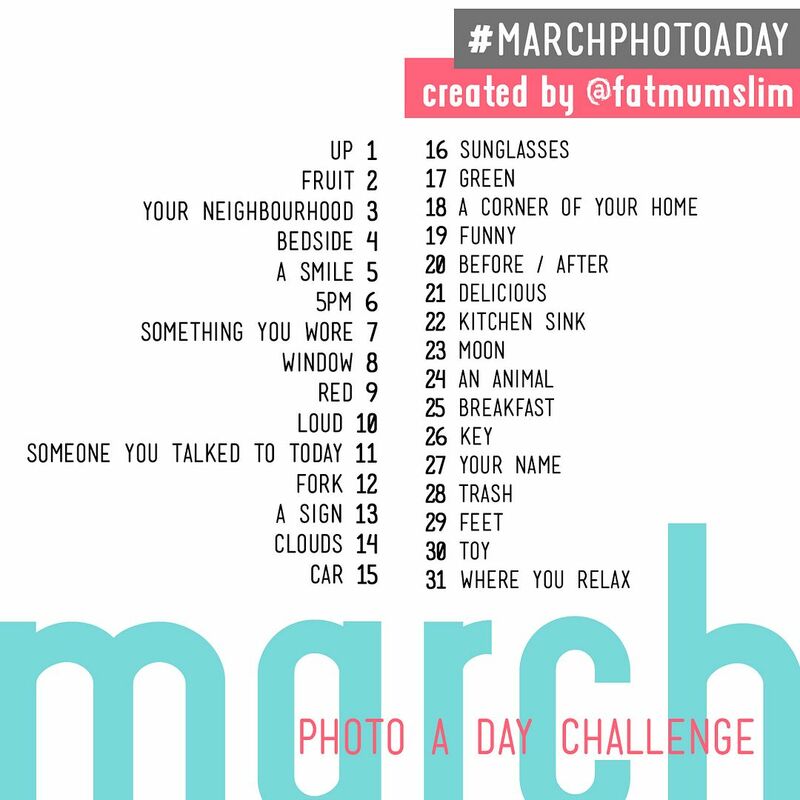 This month I'm going to take that a step further - with the March photo a day challenge. Its almost like a mini version of Project 365 but each day you have a prompt which you interpret however you want. Some people may find this a bit restrictive but I'm often grateful for a starting point - whether its something to take literally or just a launchpad for other ideas. I think often familiarity can result in a lack of inspiration, so I'm really looking forward to having a reason to look for the details in everyday things. So basically, this should be fun! Challenging maybe, but fun. I've deliberately not studied the list in detail - I want this to be a pretty spontaneous project, not something that I have planned out in my head a few days before. For the complete lowdown, I suggest you pay the lady behind all of this a visit! I don't have instagram so I'll be shooting everything with my SLR. I haven't figured out yet how I'm going to display everything, I'm hoping I'll get a brainwave soon! Have any of you done this before without instagram? How did you display everything? Let me know if any of you are taking part - I'd love to see what you come up with! I'm really looking forward to it! Are you doing it? Yay! Velly, velly good idea. I want to do this but with Uni starting tomorrow I'm worried I'll get overwhelmed! Make sure you post everyday or else! I'm excited to see what you come up with! Maybe join in next month once you've got into the swing of things? I'm really enjoying it so far! Thankyou, you're too sweet! I really really wish I had instagram for this! I hope you're right! I'm really enjoying it so far, I love how open the prompts are in terms of interpretation. I've often thought about doing project 365 but I'm pretty sure I'd run out of steam after a while - this may be the perfect solution! Thanks Anna, I decided to take the self-portrait plunge and just go for it! Scary! Actually, shooting some of these with film is a great idea - I have some old expired film that would be perfect! Thankyou for stopping by and taking the time to leave a comment (: I'll be sure to pop over to you and have a look around!